Cheesehead Gardening: What lives in this tree? Earlier this week I blogged about my hosta Guacamole and how wonderful it smelled. As a true hosta geek I have been hanging around, smelling it for weeks. Everyday I have had to wipe dirt off of the leaves of this hosta. Where was this dirt coming from? I wasn't digging in that area! I hope my hosta stalker wasn't trying to dig out my hostas in the middle of the night. 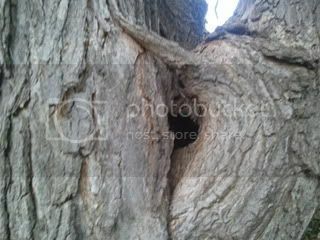 This hosta is right next to one of the huge sugar maples in my backyard, and I noticed that something was digging a hole in one of the many knots in this tree. I know that deer mice, field mice, squirrels, chipmunks, voles (though I haven't seen them in a while), bats, and the occasional flying squirrels all live in my yard. Of all of those things I couldn't really think of which one of these would dig a hole in a tree, since most either live underground or in nests. Then the other night I was out in the yard at night with one of my friends. We saw something small, mouse shaped climb a different tree. Made me wonder if a mouse would make a nest in a tree? What do you think is living in my tree? 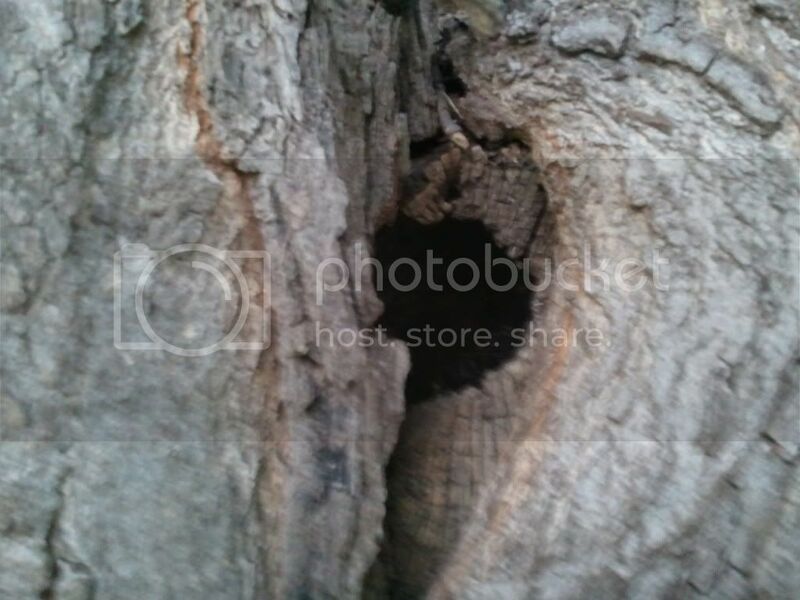 Close-up of hole, looks like maybe it could use some toilet paper or something. 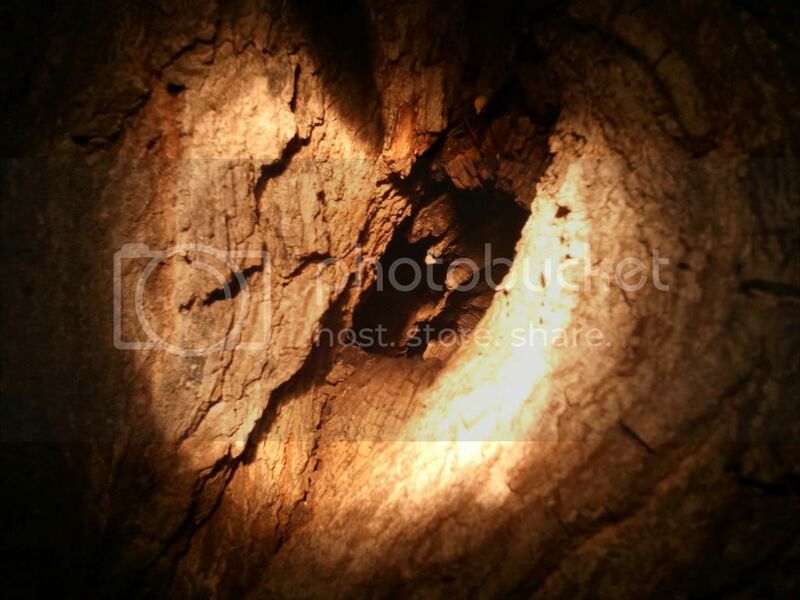 I tried to shine a spotlight in the hole to see if I could see any inhabitants. Hobbits, tree nymphs, or smurfs...dirty ones:) That's a good questions.....brave, you are to get close to the hole. Squirrels are my only logical guess. Would mice crawl up a tree? Dirty smurfs indeed! The squirrels have a nest in the tree already. I didn't think mice crawled up trees either til I saw it the other night....unless a bat was crawling up the tree?? ?